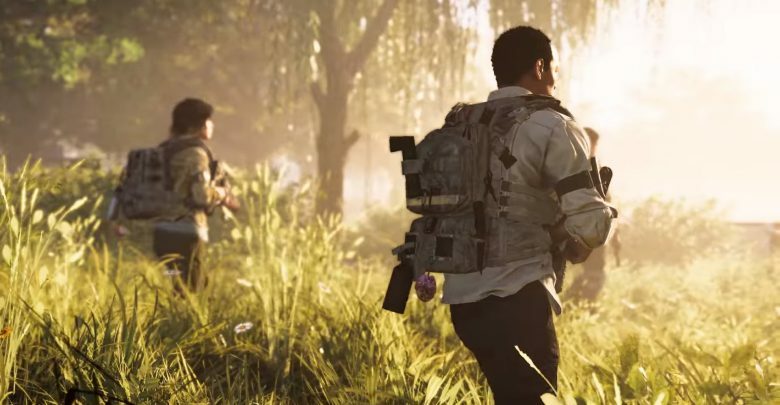 The endless stream of loot in The Division 2 will have you tweaking your loadout after every mission. It can be tempting to just equip a higher level item as soon as you pick it up — but you’ll create better builds if you consider how your weapons, armor pieces, and skills interact. 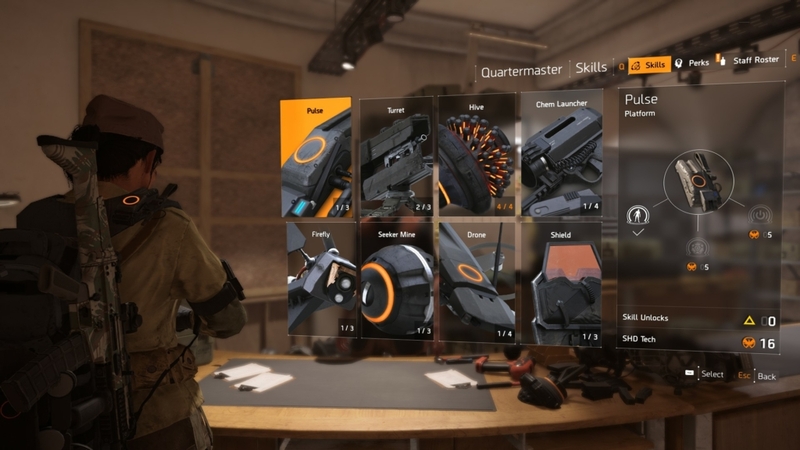 In this guide, we’ll go through our three favorite loadouts for The Division 2, with ideas on how to combine gear for the best results. Let’s take a look! 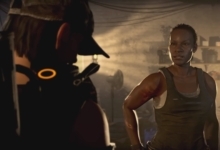 Individual pieces of gear often lend themselves to specific playstyles in The Division 2. And if you combine powerful loot in the right ways, you can create a character that excels in a particular role. Thanks to talents and bonuses, gear can either boost your damage, skill power, or defense — in addition to the item’s main function. Check underneath your name on the left-hand side of your inventory. You’ll see a circle with three icons. The blue shield represents your defensive prowess; the yellow battery is your skills; the red target marks your damage boost. The amount of each is determined by the statistics from your gear. By switching gear you can change your character archetype. You might, for example, exclusively pick gear that grants damage bonuses. You won’t be able to take many shots before you go down, but you will melt enemies in seconds. Which might be just fine if you’re playing with tanky friend that can revive you. 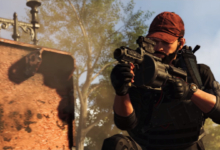 Below, we’ve listed three example loadouts for The Division 2. Each one focuses on either defense, damage, or skill power. Chances are you’ll want to combine some of the ideas for your own loadout, but this should be a good starting point. In each case, however, don’t forget to mod your gear after you equip it. This can further boost your stats and help tweak your build to your very specific preferences. This is a high-armor build that can absorb plenty of damage and act as the group vanguard during large-scale firefights. 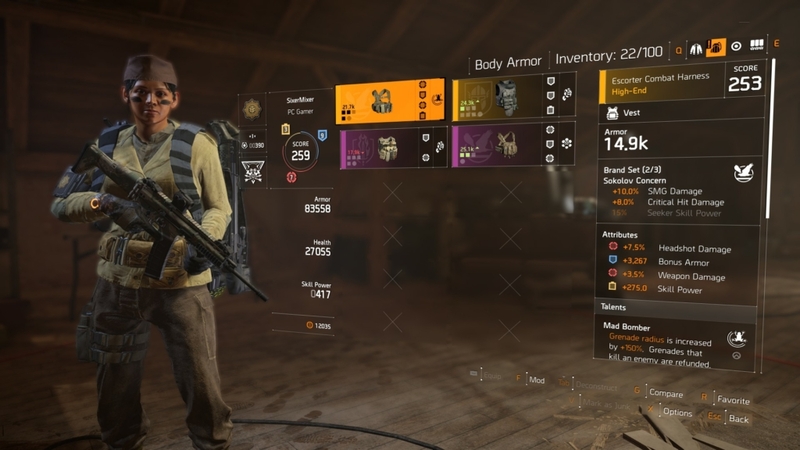 You should focus on boosting armor and HP as high as it can go — but specifically focus on armor, because you can get more armor than health in The Division 2. Armor is also your first line of defense; as long as it’s intact your health can’t be damaged at all. This is a good build for beginners, as it can help keep you alive even if you make a mistake, or get flanked (which happens often in The Division 2). Naturally, you want to equip gear that has the highest armor value. But pay attention to armor bonuses and talents, too. Some gear will give you thousands of points of bonus armor, while others have the “Hardened” talent. This adds an extra 10 percent armor on top of everything you’ve equipped. It also means that lower-level gear can give you better protection than you’d expect. You can see your total armor beneath your name on the left-hand side of your inventory. Watch how it changes as you switch between gear! Armor that gives you extra health, or heals you a certain amount when you kill an enemy, are also good add-ons. Late-game you’ll really want to grab gear with the “Self Adjusting” talent — which regenerates armor over time. It’s often worth taking this over gear that has a higher armor value. 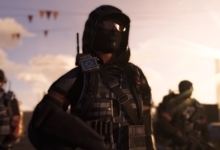 Consider that armor packs are limited and that you usually fight from cover in The Division 2. That means Self Adjusting armor gives you more total armor per gunfight than just a bigger number. As a tank, you should generally be on the front line, punching into groups of enemies while more lethal players pop headshots from a distance. That means short-range weapons are your best bet: make sure you bring at least one shotgun or SMG for close-range damage. But sometimes you’re simply unable to get up close. That’s why you should bring an assault rifle, too. For us, a combination of a shotgun plus an assault rifle is ideal. An assault rifle can do most of what an SMG can, but at a longer range. You’ll be in the heart of the action as a tank, so you’ll also constantly have your finger on the trigger. For that reason, focus on weapon talents and mods that give you bonus ammo early in the game. The “Extra” talent grants +20 percent ammo capacity, for example — and more weapon stability, which lets you fire more accurately for prolonged periods. You should also consider the “Close and Personal” talent. This boosts weapon damage after a close-range kill. Late game, the talent you really want is Preservation, which repairs your armor every time you kill an enemy. It’s a literal lifesaver. The Hive is the perfect fit for a tank: the Restorer repairs both you and your allies’ armor, letting you take more heat. You should also consider the Hive’s Revive variant: as the most heavily-armored person in a squad, you’ll probably be the one that’s still alive when other people die. Not to mention the Revive grenade will even bring you back up, should you go down near it. For your second talent, opt for something that distracts enemies, and therefore takes some of the attention off you when you’re in trouble. The Striker Drone is perfect for that and, in our opinion, more useful than the drone’s defensive variants. The assault turret is another good choice. It even offers fire support if you end up playing solo. This archetype is all about damage at the cost of survivability. You want the most lethal weapons and skills alongside gear that makes your arsenal perform better for longer. You’ll have to sacrifice armor to do so—but enemies can’t hurt you if they’re already dead. This is a good archetype for any player that knows their aim is solid, or is playing in a group with someone that prefers a tanky build. A high armor value is still a plus, but remember, this is all about damage, so feel free to go for gear that’s slightly less protective if it offers you damage bonuses. The bonuses you’ll find most often are extra headshot damage or a boost to overall weapon damage: stack both to ensure you’re as deadly as possible. As well as damage bonuses, look for bonuses that grant you health when you kill an enemy. You’ll have a high body count, and your lack of armor might mean you need the extra hit points that come with it. For gear talents, there aren’t many that directly boost your damage. The “Critical” talent, which increases your critical damage, is a contender. So is “Hard Hitting, which increases your damage against elite enemies. Alternatively, the “Vital” talent gets you +20 percent health. Seeing as you have less armor, that can be very useful. The “Restorative” talent, which grants 10 percent health on kill, is good for the same reason. This build is all about lethality. For that you’ll want a marksman rifle. The long-range weapon can often drop any normal enemy in a single headshot. That doesn’t mean you have to be a sniper, though. In fact, the marksman rifle usually works best when you’re not zooming in at all, because it’s easier to scout the battlefield for more targets. Plus most environments are fairly compact, so you don’t need a 12x zoom. The 4x AGOG attachment decreases damage drop-off over time and won’t zoom in your camera when you aim. That’s the ideal! For the other weapon slot, opt for either an assault rifle — the most versatile of damage dealers — or an LMG. Both will perform well at medium range. 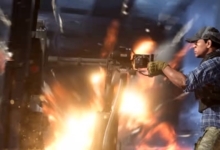 Although you might need an extended mag or a perk that gives increased ammo for the LMG. They don’t hold very many bullets in The Division 2 without those tweaks. Weapon talents are less clear-cut for this build. There aren’t any standouts that increase your damage, so it’s really down to personal preference. You can’t go wrong with the “Stable” or “Accurate” talents — which increase, you guessed it, stability and accuracy — but we’re big fans of “Extra.” This increases magazine size by 20 percent. That means you can kill bullet spongy enemies quicker and continue doing more damage in a limited amount of time. In the late-game, the “Preservation” talent will repair your armor with every kill. This also keeps you from spending time on something other than shooting, since you don’t have hide and pop repair kits. So keep an eye out for the talent! As a glass cannon, you want skills that boost your weapon damage (naturally). The Chem Launcher’s riot foam variant is worth a look: you can use it to trap enemies for a short time, giving you a few precious seconds to hail them with bullets. It also makes for a nasty way to stop short-range enemies from rushing you. The Blinder Firefly also stuns enemies, giving you free shots at them without worrying about cover. The Pulse Scanner is useful in the second slot: it highlights enemy positions so you know where to focus your fire. Don’t rule out the booster Hive, either, which increases movement speed and weapon handling for anyone within its radius. Increased handling means more bullets will actually land and do that precious damage you crave. 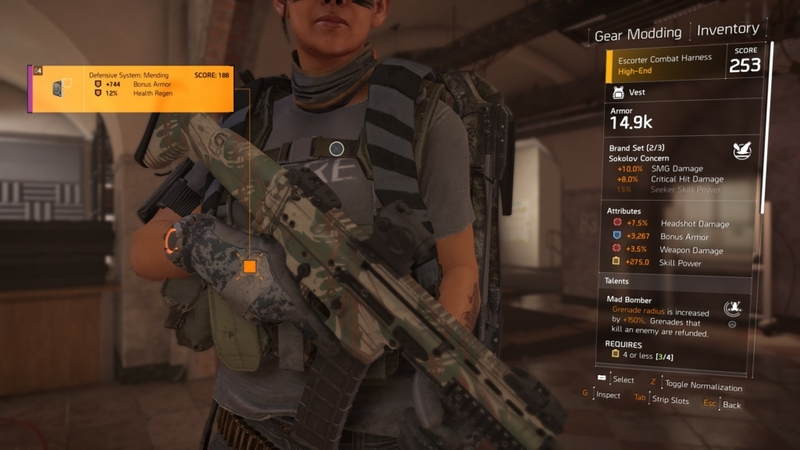 If you have a particular skill that you just love using in The Division 2, then this loadout archetype will help you make the most of it. To some extent, the choice of skill doesn’t matter as much as your choice of gear, which will help maximize the impact of whichever skill you do want to equip. Each skill in The Division 2 is on a cooldown. So most of the time you’ll be relying on your weapons to deal damage. That also means you need to be able to survive firefights, so pick gear with a high armor value, as you normally would. Where this loadout differs from what you’re used to is that you want to focus on bonuses, talents, and mods that improve your skill power, as well as reduce skill cooldown time. 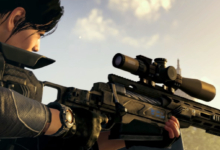 Skill power is an important value in The Division 2: Powerful skill mods require you to reach a certain skill power before you use them. And your power is determined solely by the gear you wear. You want a mixture of gear bonuses that add to your skill power and bonuses that shortens your skill cooldowns. Early in the game, opt for gear that decreases your cooldown, because you won’t have access to powerful mods yet. Later on, however, you should shift the balance further towards skill power. Really dig into your gear mods in this build: certain mods boost specific skills, such as the Turret, so pick mods that fit your skill of choice. For gear talents, the one you really want is “Capacitive,” which increases skill duration by 20 percent. Stack these on multiple items and your skills will last for ages. Otherwise, look for talents that boost a specific damage type: the “Destructive” talent increases explosive damage, for instance, which is useful for certain skills. Generally, weapons won’t have a big impact on your skill use. However, as a skill user, it’s generally best to be at medium range or further back, so you can see more of the battlefield and direct your skills more effectively. Go for an assault rifle and pair it with a marksman rifle. Your weapon choice will partly depend on your favorite skill: if you really like using the Hive Stinger variant, which damages enemies in a zone, you’ll need to get up close. In that case, a shotgun or SMG are also logical choices. The weapon talent that’s most beneficial to skill specialists is “Spike.” It grants 25% extra skill damage on headshots, but don’t expect to find it until the late-game. Each player will have their own favorite skill, and this build is all about maximizing them. However, if you’re leaning on your skills heavily, we’d recommend you pick at least one long-lasting skill that can make the most of all your gear bonuses. The Striker Drone and Turret skills are the obvious choices. Both do serious work on their own, last a long time, and can be a real pain for your enemies to deal with. For the Turret, we’ve found both the assault and sniper variants to be the most useful. Alongside a long-lasting talent, it makes sense to have one that can do lots of damage in a short burst. That will help you take down elite enemies while the long-lasting skill controls crowds. And the Seeker mine is perfect for single-target destruction: pick the Explosive or Airburst variants for the best effect. And there you are! There are many, many possible loadouts in The Division 2. But this guide should help start you on your path and tell you what to look for. We hope you enjoyed reading and continue to have fun looting your way through the game!